My apologies for the lack of blogging lately — I'd explain but I doubt you care. 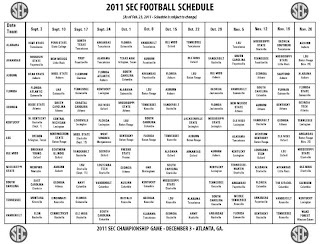 As penance, and in advance of tonight's NIT quarterfinal in Tuscaloosa, here is the 2011 SEC football schedule, which was released today. Looks like fun, right? In the meantime, let's see if our hoop squad can take a step tonight. 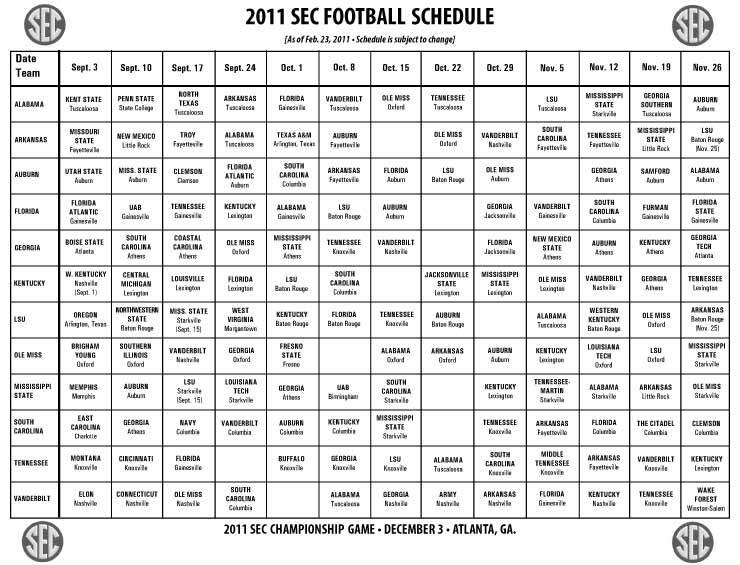 Roll Tide.